We’ve built 3 million square feet and counting. At The Korte Company, we pride ourselves on giving our clients more than they expect. If you have an architect, you have drawings and you’re ready to build, we’re here to get the job done. And we’ll deliver an exceptional project with a headache-free owner experience. We have the track record to prove it. Whether it’s a negotiated or hard-dollar bid, we fully understand the bidding process and can offer solid numbers based on a clear understanding of job scope. 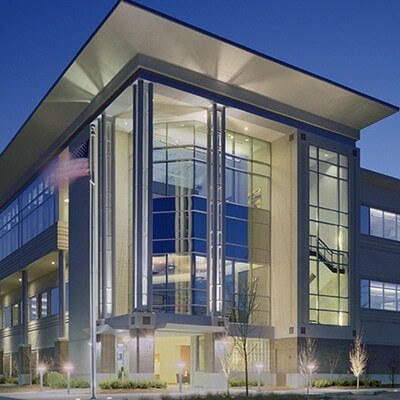 We’ve delivered three million square feet of construction while serving as general contractors. Always on-time and on-budget. Through the years, our clients have ranged from Walgreens and the USPS to Boeing and Anheuser-Busch. And we’ve led builds on numerous churches, healthcare facilities and distribution centers. Or, if you’re ready to start your project, tell us more about your building needs. No two jobs are the same. Any general contracting company worth their salt knows the success of any job relies on the team. The better the team, the better the job. That’s why we work with the best. From coast to coast, we have the partners and relationships to assemble the right team for the job — an all-star cast hand selected to deliver your project. With seasoned, expert professionals working as project partners, we bring innovation to the construction process to save you time and money. How can we build the strongest teams time and again? The answer lies in our company values. We believe in working partnerships based on mutual respect, trust and fairness. Our subcontractors are paid on time and treated fairly. And we’ve earned an industry-wide reputation as a proven, reliable partner. We’ve been named American Subcontractor Association (ASA) Contractor of the year three times. And we’ve honed our project management to efficiently and safely coordinate teams of subcontractors — from engineers to carpenters — making certain every stage of the build is done right and on time. Long story short, if hiring a general contractor is your best bet for success, we’re your best choice. But don’t take our word for it. See what our clients have to say about our work and their experiences working with us. Read our client testimonials here. Or, see the awards and recognition we’ve earned through the years.